The New York Times reports that large home improvement stores are beginning to add bar codes to products to provide potential buyers with how-to guides and videos, as well as product reviews and ratings. Big-box retailers plan to expand this bar-code technology for retail marketing in an effort to boost sales by prompting consumers to begin the gardening and repairs that they’ve been postponing. 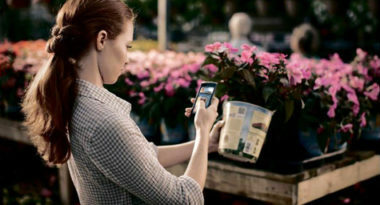 Home Depot and Lowe’s currently have bar codes on plant tags that let customers with smartphone scanners acquire important plant care information, such as when to plant and the amount of sun advised. The timing is ideal since this is the season when millions of garden plants are sold. Home Depot has also placed bar codes on its outdoor patio sets, in addition to airing a national bar-code commercial. The retailer is even testing newspaper circulars with bar codes that link to a video about its new Martha Stewart kitchen line. When scanned, the codes lead to a video featuring Ms. Stewart describing her new line and urging viewers to make an appointment with a Home Depot designer. While Home Depot is using black-and-white checked quick-response codes (QR codes), Lowe’s is differentiating itself by using Microsoft tag technology with colorful squares. Lowe’s is placing bar codes only on products that call for additional how-to information. “Mobile bar-code scanning experienced a 1,600 percent increase in traffic last year,” said Mike Wehrs, chief executive of Scanbuy, the mobile bar-code platform that works with Home Depot. He explained that this technology also lets retailers receive data on customer scans, including which products are frequently scanned and their geographical location. Today, more than 25 million people in the United States have the ability to scan with their mobile phones and that number is expected to rapidly rise. This is a driving factor behind the move toward bar-code marketing, which retailers hope will redefine the entire shopping experience.